The Breastest News: Review: Disney On Ice Presents Dream Big! 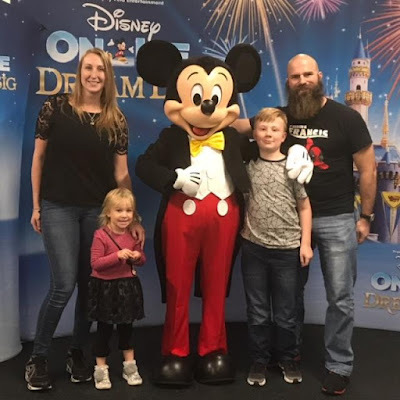 It's been a really busy week for us as a family with lots of exciting things going on. One of them being taking a trip through to Glasgow to see the new Disney On Ice show Dream Big. 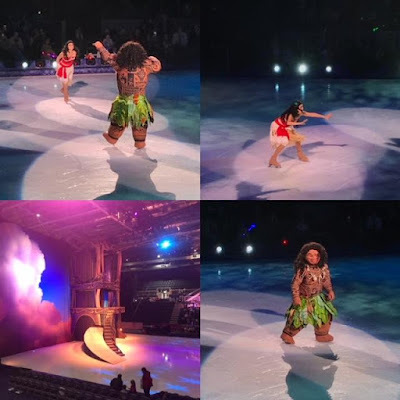 We were all very excited about this show as we knew Moana would be paying a visit. She's definitely a firm favourite in this house with the movie and songs being played constantly. 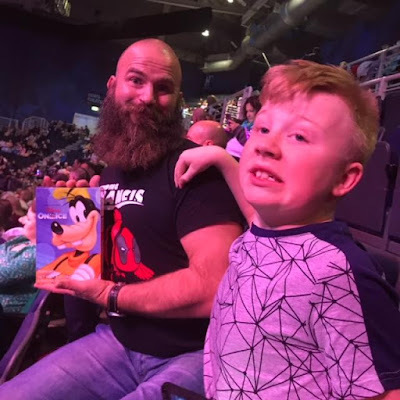 The show was held at the Intu Braehead Arena in Glasgow this time around which is great as there's ample free parking, tons of shops and places to eat before it's time to take your seat. The kids were also lucky enough to have a little meet and greet with Mickey Mouse before the show started so we took the opportunity to snap a family photo. We were all soon settled into our seats waiting for the Disney magic to happen and the kids tucked into their Olaf slushies which kept them quiet and settled (i.e. no sibling fighting, win!). The Fit to Dance crew were soon flooding the ice and getting the kids on their feet before the main act. Harlow loved dancing around and copying the skaters. 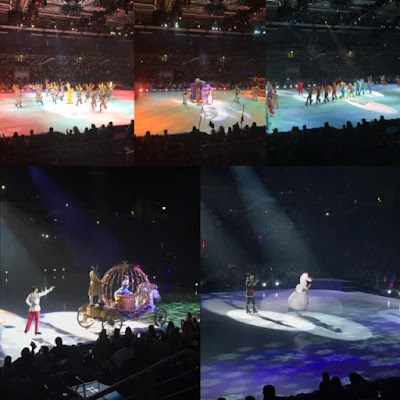 Then the show began and we were thrust into a world of Disney heaven with minute after minute of amazing songs and jam packed action on the ice. Each character was full of life and recognisable for the kids who loved every minute. 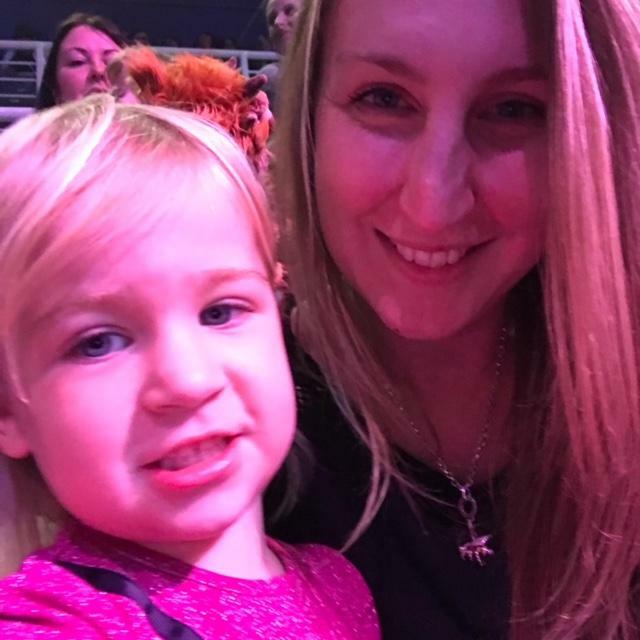 There was lots of special effects this time as well with confetti, bubbles and butterflies dropping from the ceiling as well as smoke, pyrotechnics, rope swinging and even fire on the ice!! We were all super impressed with the fire. Here's a few photos of the show which I think totally speak for themselves but I honestly think this was the best Disney On Ice show yet and if you get a chance to go along then take it. 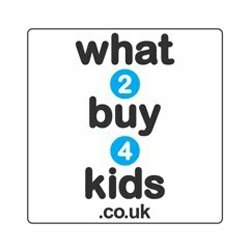 The kids (and you) will love it and it's one of those places you don't have to worry if they're running around and making lots of noise. In fact the Disney crew totally encourage it! So get along to your nearest show and have some fun. The production will visit the Braehead Arena from 21st – 30th September 2018. We were given tickets to this event in return for an honest review. All opinions are my own. 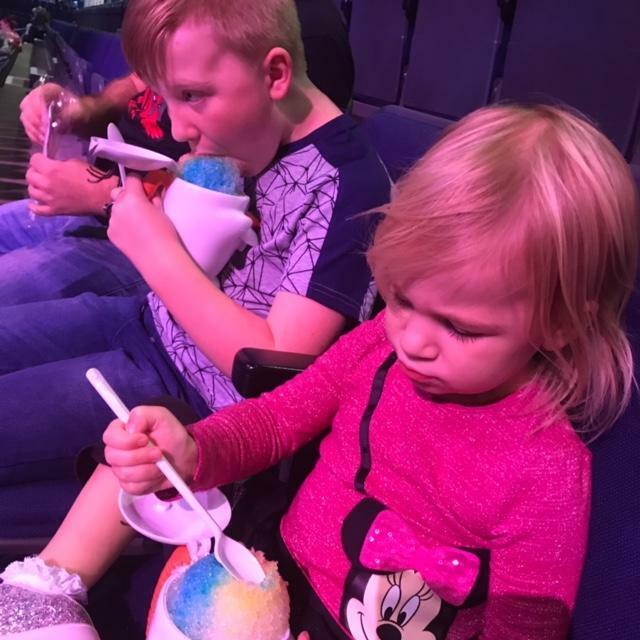 1 comments on "Review: Disney On Ice Presents Dream Big!"